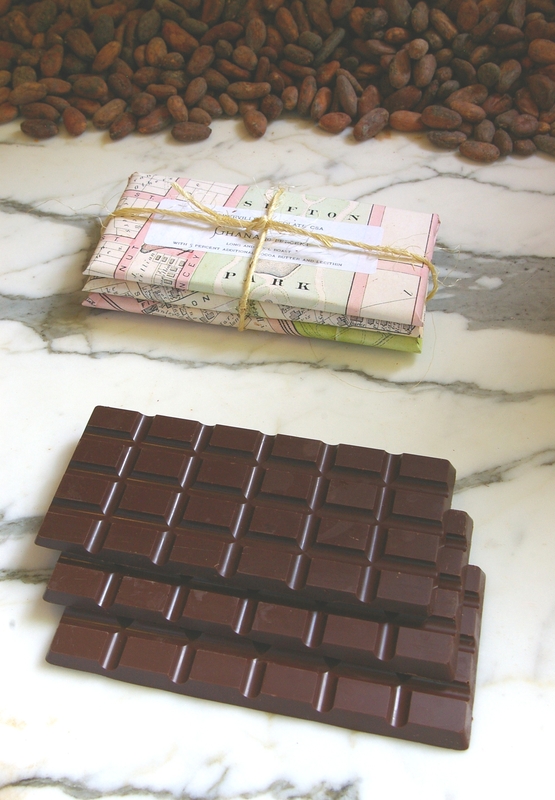 Modeled on the popular vegetable CSA (Community Supported Agriculture) concept, the Somerville Chocolate has since 2012 operated a Chocolate CSA in which share owners receive chocolate “harvests” at periodic intervals throughout the chocolate “season”. 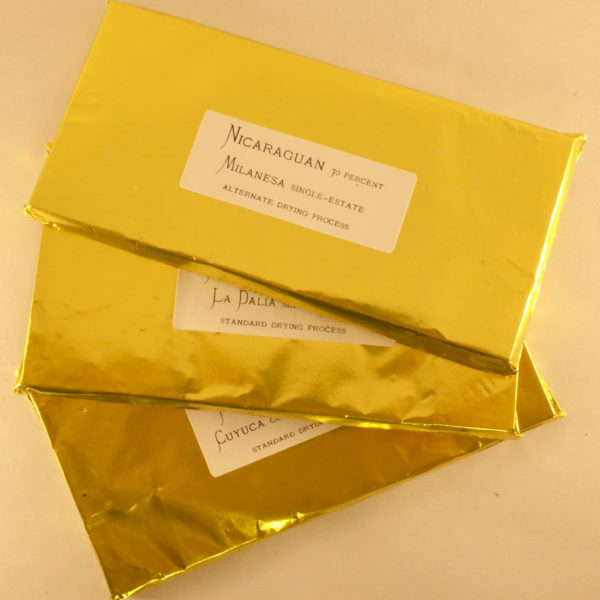 The broader goal of the CSA is to use the multiple-bar harvests as a means of involving people in the experimental nature of chocolate making and the role that the various steps in the process play in developing the final flavor, look and consistency of chocolate. Thus most (but not all) of the harvests feature multiple chocolate bars that isolate and highlight a particular variable. A few examples would be the roast profile / process, sugar content, cocoa butter content, refinement / conch time, or type of sweetener. Generally each harvest features beans from a different origin or a blend of multiple origins. Every now and then the CSA will break things up by offering three completely different bars that experiment with inclusions / additives. Chocolate shares are picked up locally (Somerville / Cambridge / possibly Brookline next season). Shares can be mailed at the cost of postage (currently about $7.50 USPS flat rate priority mail). Note that chocolate shipped during the summer will be delayed until cooler weather prevails. Season #5 is currently underway, and people wishing to join the CSA should contact me to arrange a pro-rated cost for the remainder of the season.